Three words. Brussels. Sprouts. Taco. Boom! My world is rocked. Holy Tequila is the brainchild of the duo behind CharBar Co., which has received its own burger-fide praise since its opening over a year ago. Owner Nick Bergelt and Chef Charles Pejeau nailed the perfect burger joint, but how did they make the leap from burgers to tacos? Well, I’m glad you asked. Actually, I asked. More tequila please! Instead they played with the idea of finding value in the ingredients, in the quality of the ingredients, and leveraging the culinary experience of their team. This wasn’t an overnight brainstorm. “We took the time to make almost our entire menu from scratch and redefine quality standards on our terms,” they told me. According to Bergelt, “The taco itself has been an intriguing vessel to both Charles and myself in that, most importantly, we both love tacos; but from a concept development perspective, we felt there was a cool opportunity to use the taco to introduce flavor profiles not directly associated with a taco and/or Mexican.” The taco is not pretentious or discriminating. The Holy Tequila team is delivering food on a vessel, for under $4, to people of all ages and ethnicities, which enables them to throw a relatively large net to see who is most receptive to the concept. The primary driver for the trip was to seek out the best qualities of Mexico and then come home and figure out how to present those qualities in a way that the Lowcountry community would appreciate. They sought to experience Mexican street food from every angle to learn from vendors, chefs, and families who had been perfecting their very specific craft for generations. “What we learned was that most cook one food item and fight for the reputation to be the best at that one item. This was ultimately the biggest value for us and enabled us to translate the aspects we appreciate most into our own menu,” Bergelt said. What they learned in Mexico heavily influenced their approach to not just the food, but creating atmosphere. And, when you first arrive at Holy Tequila, you are immediately struck by the care and planning that went into crafting a full experience. Tucked in Park Plaza, just before the Sea Pines gate, Holy Tequila just feels right. I’ve been to Mexico three times, and even in Mexico (especially in Mexico) the restaurant and resort décor can seem a little over the top. The lack of jalapeno light strands actually provide the opportunity for a stunning chandelier handcrafted of tequila bottles (they recycle too!) to hold court in the main dining room, while Mexican tin lights hang over the bar and illuminate the over-the-top selection of tequilas (attributed to that research trip, no doubt). The outdoor dining space is flanked by wood planters and hanging lanterns and comes pretty close to making you forget you are overlooking a parking lot. While food and drink are the obvious connector, music doesn’t hurt either. “We feel music is a big piece of any dining experience, and we always look at ways to leverage music to greatly enhance the experience we set out to create,” Pejeau said. 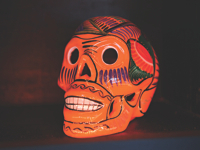 At Holy Tequila, they opt for upbeat Latin music to infuse the energy they experienced in Mexico into the dining experience. I found it ever-important to get this part right. So, I may have taste-tested my way through the menu multiple times. I don’t imagine you’ll find anything you don’t like. But, allow me to point you in a few directions. You can get lost in the drink menu, between the 33 tequila options, the margaritas, and the Mexican brews, but I am here to help. So I say start with the frozen sangria. Don’t ask questions, just do it. Once you recover from the momentary brain-freeze, find your way to the margarita menu. I opt for the Hibiscus Margarita layered with hibiscus simple syrup, agave, and citrus. If you’re not driving and don’t have to go to work tomorrow, the Meximule will make your day with is sweet combination of vodquila, citrus, lime, and ginger beer. To get your palate in the Mexico mood, start with the deconstructed bean dip starring Benton’s bacon. 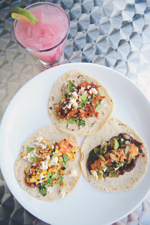 Meander your way through the salsa sampler, which always includes a salsa du jour; and, certainly try the guacamole. Hey, when in Mexico…. Now, you won’t find any enchiladas, burritos, or chimichangas covered in some sort of mystery sauce with melted cheese on top. 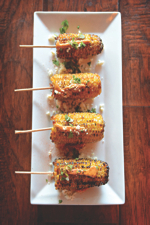 What you will find is locally sourced ingredients pulled almost daily from South Carolina farms. “Having the ability to turn product from South Carolina soil to the plate in a matter of a day’s time gives us a unique advantage,” Pejeau said. With 12 tacos to choose from, it is a hard choice, but after much munching, I have successfully narrowed them to the perfect taco trio. The veggie taco includes the aforementioned Brussels sprouts (roasted to perfection), drizzled with a pumpkin salsa and chili aioli, and topped with pumpkin seeds. The fried chicken taco is oh so Lowcountry, as the chicken nestles amid collard greens and boiled peanuts. For me, pig is always big, so the pork belly pastor taco, starring southern raised hogs, speaks to Holy Tequila’s unique ability to make Mexican fit within our food community. At the end, you may find yourself in a Mexicoma. (Yes, I just quoted Carrie Bradshaw. Don’t judge.) Taco night has always been my favorite night. I don’t see this changing anytime soon. So what is next for these two childhood friends, who are taking the Lowcountry food scene by storm? For now, they are laser-focused on CharBar Co. and Holy Tequila, delivering unparalleled food and flavors that they think the community will appreciate, at a price point that is value driven and palatable on an everyday basis. In their words: “Our team now has the burden of taste testing on a daily basis, which in turn becomes overdosing on gourmet tacos and burgers; so things could be worse for us. Ultimately, each member of our team adds different value to the greater operation; therefore, we feel the sum is greater than the individual parts. Since we each have expertise in different areas, we are generally able to focus on what we are best at. 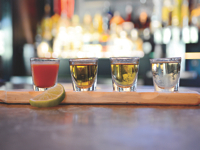 Holy Tequila is located at 33 Office Park Road, Suite 228, Hilton Head and is open from noon to 11 p.m. daily. 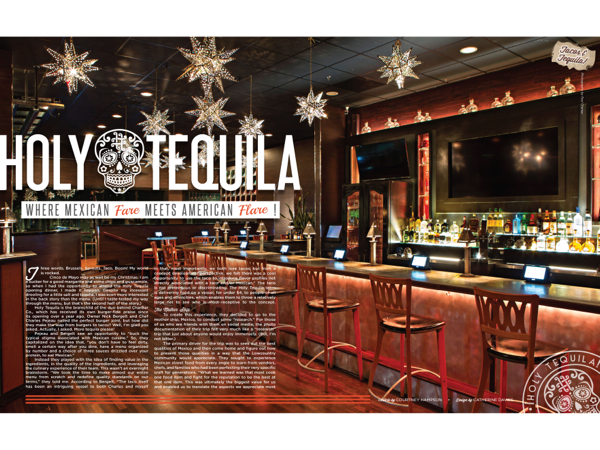 For more information, call (843) 681-8226 or visit holytequila.com.